We provide online guidance and phone support, ideal for clients further afield and overseas. This service can be used to review documents and contracts, answer specific questions, join conference calls to speak with suppliers, customers and 3rd parties, or just provide 1:1 guidance and advice. Charges are hourly but can be booked and invoiced in 15 minute increments. In addition to our own Training Events, we offer in-house training and awareness for businesses. 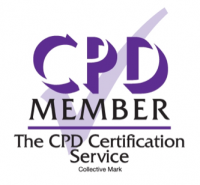 We can design and deliver bespoke data protection training to your project or key personnel, your managers, your HR teams, and any other employees charged with managing personal data processing. Our track record as trainers and change managers has delighted clients, ask us for more details. We regularly deliver half day training sessions to sole traders and solopreneurs at our partner site in Leavesden, near Watford. 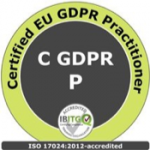 These interactive sessions are designed to introduce sole traders and micro business owners to the GDPR, so they can understand it in context to their business and take action. Session include free parking and refreshments, and some basic documents from our Toolkits. Take our free self-assessment questionnaire for a no-obligation overview of how prepared your business is for GDPR. One of our specialists will respond with an outline of how you are doing, based on your answers, along with some areas where you may need to focus on taking action. We regularly take part in local and global events as a key note or guest speaker, to discuss data protection and privacy in a wide range of industry contexts. It’s a great way of spreading training and awareness across a large audience. Contact us to ask about our fees for your next conference, seminar or webinar – we are always willing to discuss appearing free of charge in return for genuine work referrals. As experienced change managers, we believe passionately in educating and supporting our clients to manage their own compliance journey. For clients who are unclear how or where to start with their GDPR project, we provide a kick-start combination package of one of our document toolkits and a set number of project support hours, aimed at helping you get your project off the ground. Ask us for more details. Has GDPR done your business a favour?